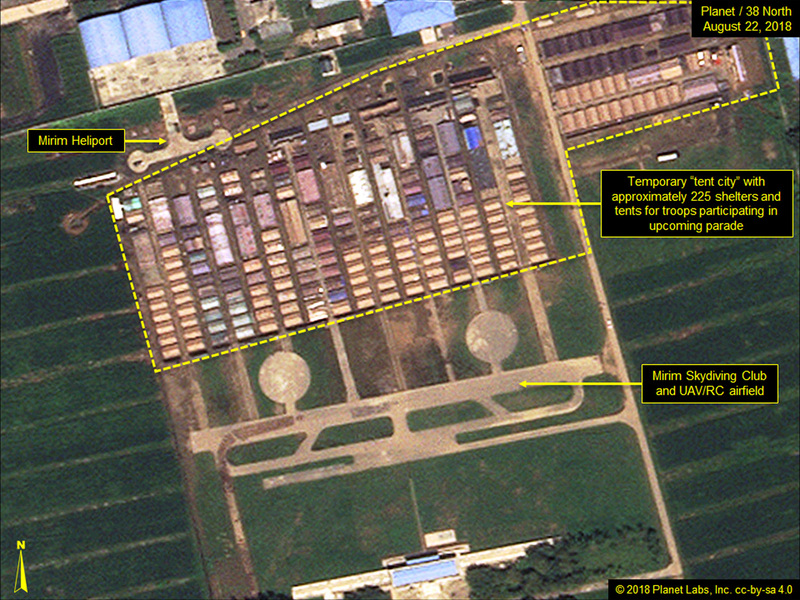 In the lead up to North Korea’s Foundation Day Parade, scheduled for September 9, commercial satellite imagery of the Mirim Parade Training Ground from August 22 shows approximately 120 military vehicles in formation practicing on the facility’s roads, including what may be six tarp-covered Scud-class transporter-erector-launchers (TELs), as well as unmanned aerial vehicle launchers, tanks, large artillery pieces and other vehicles. 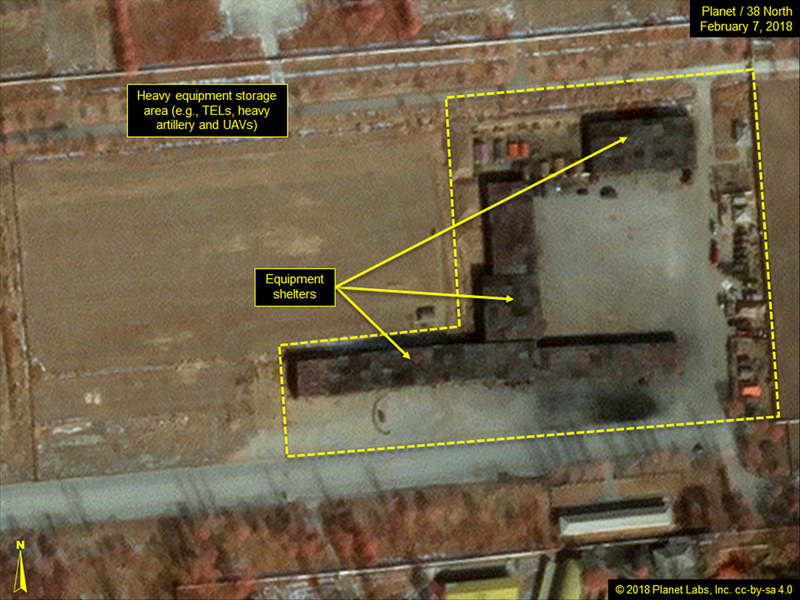 No TELs (or mobile-erector-launchers/MELs) for the North’s larger intermediate-range or intercontinental ballistic missiles have yet been observed. If present, they would likely remain hidden under the shelters in the heavy equipment storage area until the day of the parade. 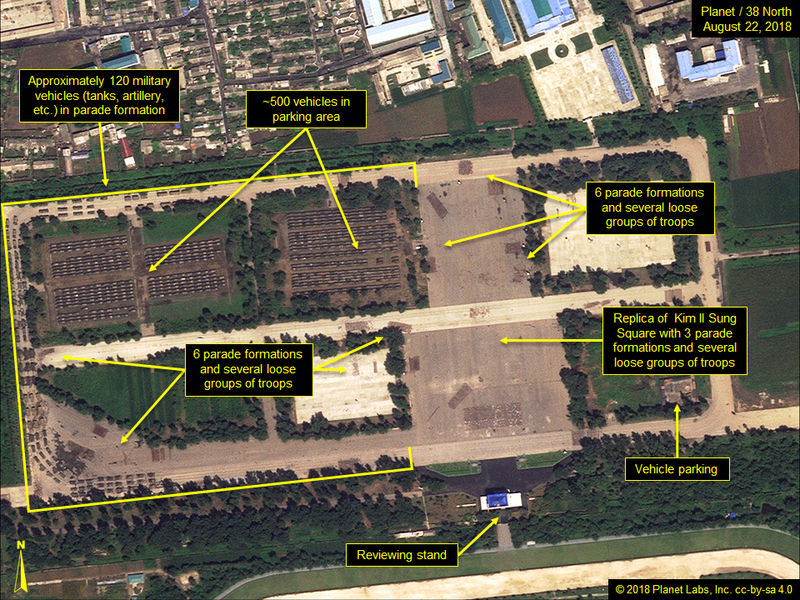 In the training area, there are also 12 groups of troops practicing formations on the roads and in the replica of Kim Il Sung Square and approximately 500 vehicles (used to transport troops to the training facility) parked in the parking lot. Figure 1. 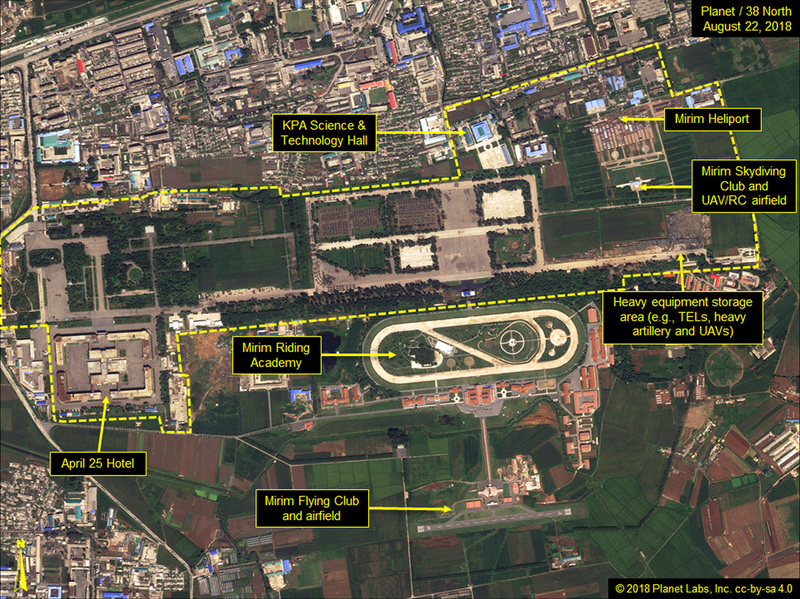 Overview of the Mirim Parade Training Ground. Figure 2. Approximately 120 vehicles and 12 groups of troops practicing formations in the training area. 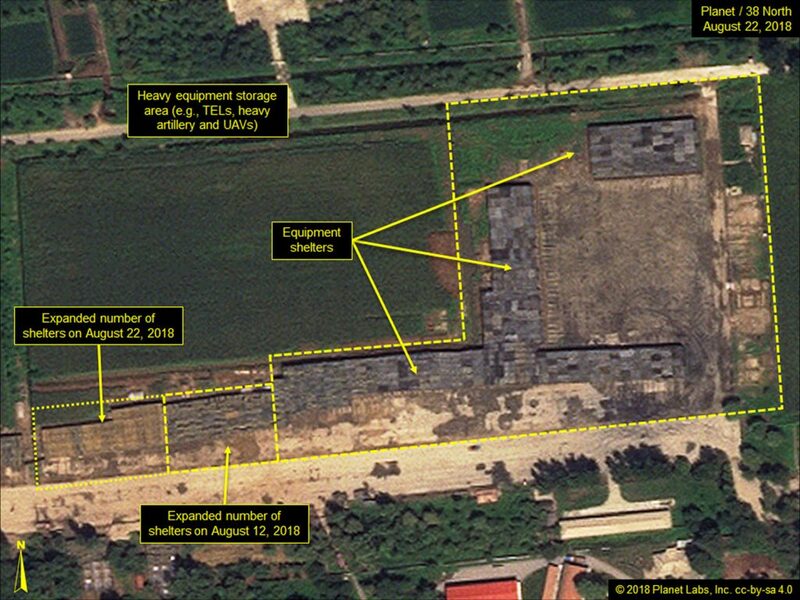 At the heavy equipment storage area used to house and prepare the military vehicles for the parade, the number of shelters erected has increased since August 12, indicating next month’s parade will likely be considerably larger than the military parade earlier this year. Figure 3. The number of shelters at heavy equipment storage area is considerably larger than for February’s parade. The tent city at the Mirim Heliport and Mirim Skydiving Club’s airfield has expanded to approximately 225 tents and shelters. In the past, these have been used to house and feed the troops participating in the parade. Figure 4. The tent city housing and servicing the troops has expanded. 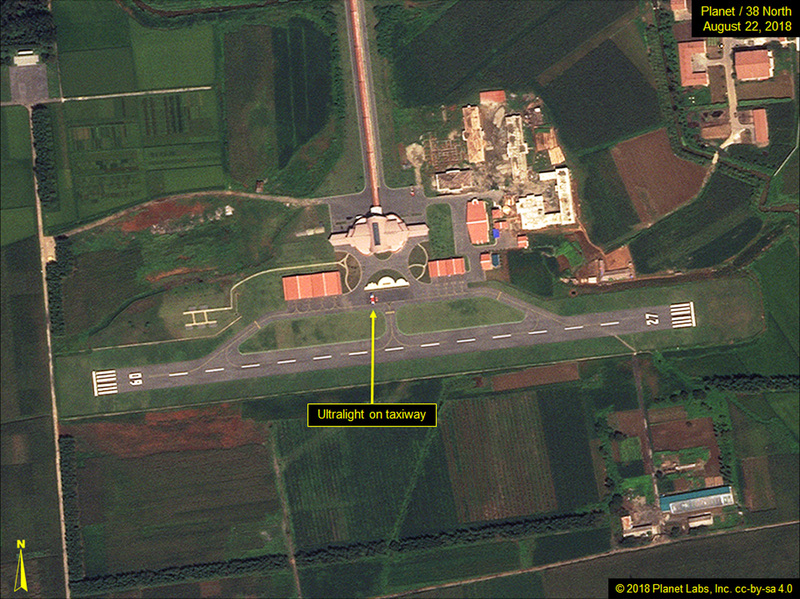 Although no significant activity is observed at the adjacent Mirim Riding Academy (which has provided a cavalry honor guard in recent parades), a single ultralight is present at the Mirim Flying Club’s airfield. In February, the ultralights conducted flyovers from the Club’s airfield. Figure 5. One ultralight is parked on the Mirim Flying Club’s taxiway. UPDATE: A previous version of the article contained an incorrect date for Figure 3b. The date has been corrected.